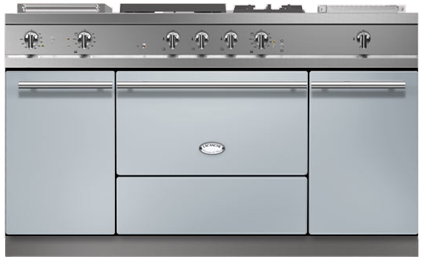 In French, a Lacanche range is often referred to as "le piano". Citeaux is indeed the perfect instrument for preparing a delicious holiday dinner. The generous full-size oven (in your choice of gas or electric convection) is complemented by a vertical convection oven and a warming cupboard, giving you the flexibility to cook different dishes at different temperatures simultaneously while keeping your guests plates warm before serving. The generous hob features three stepped burners and your choice of two additional options, including an electric plancha, extra burners or extra space with a 12" stainless steel workstation. Citeaux gets its name from a village in Burgundy known around the world for its abbey founded in the 12th century, place of origin of the Cistercian order of monks. The Classique top includes our signature high-output, 18,000 BTU burner, along with a versatile 11,000 BTU burner and low-heat simmer burner. 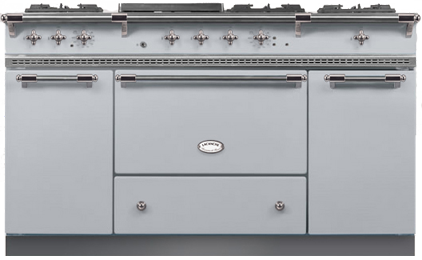 Our Classique 4 top features (1) 5,000 BTU simmer burner, (2) 11,000 BTU and (1) 15,000 BTU burners, along with two additional top options for maximum flexibility! Our Tradition top includes a large cast-iron French plate over our 18,000 BTU burner, creating a large cooking area for delicate sauces and dishes. The central plug can also be removed for direct access to the burner for high-heat wok cooking!